Have students try these activities to expand their knowledge and interest in China’s Empires. Legalism and Confucianism were two schools of philosophy important to China’s history. Daoism, while also a religion, constituted a third philosophy that was also very important throughout China’s history. Ask students to look further into these three schools of thought. Using the internet or other available resources, students should research one of the three philosophies. Then have students write reports on their chosen philosophical schools. Students can share their reports with the class. Additionally, you can run a class discussion of these three philosophies, encouraging students to think critically about them and to reflect on their own ways of thinking. According to legend, Yu the Great was able to drain the flooded Yellow River into the sea, saving the people of the Huang He Valley from starvation. Ask students to draw the legend of Yu the Great. Encourage them to begin by researching the legend further using the internet; then encourage them to think about whether the legend is true or not and about how this question relates to their artwork. Should the legend be drawn in a fantastic or magical style? Or should it be drawn realistically, as if portraying events that truly happened? Finally, have students create their drawings and share them with the class in a gallery. Shi Huangdi forced hundreds of thousands of workers—many of them prisoners or peasant farmers—to work on building the Great Wall during the time of the Qin dynasty. Conditions were harsh and many workers died from exhaustion and malnutrition. Have students imagine that they are workers being sent to help build the Wall. Ask them to write journals describing their daily lives and toils, as imagined. Finally, have each student share an excerpt from his or her journal with the class. As the Qin dynasty passed over into the Han dynasty, major historical events were taking place elsewhere in the world. In Rome, Christianity was beginning to take root, for example. Have the class create a giant timeline correlating the historical events in China detailed China’s Empires with other major historical events in other parts of the world. Use discretion when deciding what events should or should not be included. Encourage students to look for the point in the timeline when Chinese history begins to intersect with Western European history. The Ming dynasty was fairly isolationist, whereas the Qing dynasty ended up engaged in trade with Great Britain. What happened in the interim between the two dynasties to explain this change? What was happening elsewhere in the world that might help to explain this change? The Forbidden City in Beijing served as the seat of China’s government from 1420 to 1912. The Forbidden City includes nearly 1,000 different buildings, making it an architectural wonder. Have students imagine that they are living under the Ming dynasty and that they have each been asked to submit a plan for the Forbidden City. Students should draw out their city plans on large sheets of paper. Students’ plans need not be as detailed as the real Forbidden City; however, students should think about what kinds of structures and amenities would be needed in building something like the Forbidden City. What kinds of features might a dynastic ruler desire? Students can share their city plans in a gallery showing somewhere in the classroom or school. Chinese Admiral Zheng He was asked by Emperor Yongle of the Ming dynasty to explore the lands beyond China’s borders. Zheng He made many ocean voyages, travelling as far as East Africa. Unfortunately, though, Zheng He’s reports were all destroyed after his voyaging days were over. Invite students to imagine that they are Zheng He. Have them use the Internet or other available resources to do some preliminary geographical research. Then have them write accounts of Zheng He’s voyages. 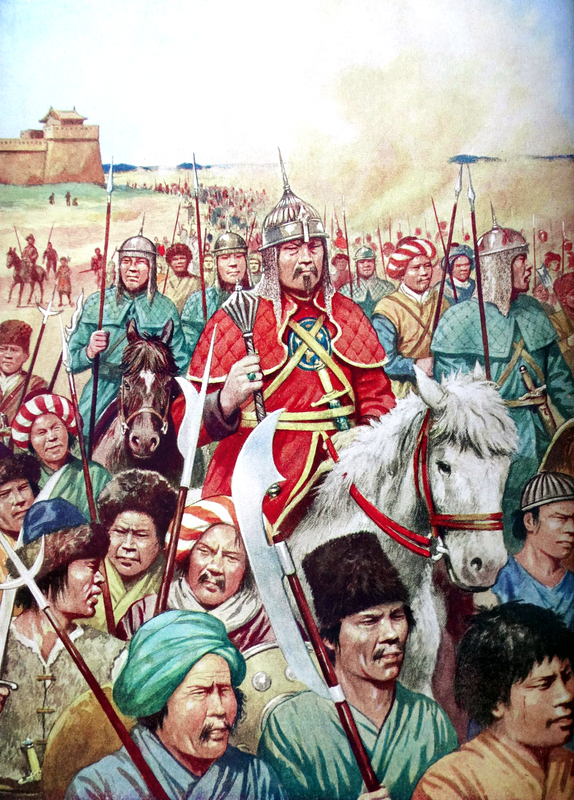 Encourage them to think about what the world would have looked like to Zheng He, a 15th-century Chinese explorer. Have students share excerpts from their accounts with the class.